If you are looking for a locksmith in Golders Green call us now. Don’t book a locksmith unless they tick all the boxes! 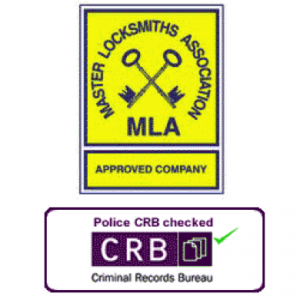 Be aware that there are Golders Green locksmiths operating without even a DBS check! We are a family run local mobile locksmiths company. We have low overheads and our customers reap the benefits when it comes to getting excellent value for money. We fit only high quality products and our standards of workmanship are second to none. How do we keep our overheads down? We are a Golders Green Locksmith you can trust. 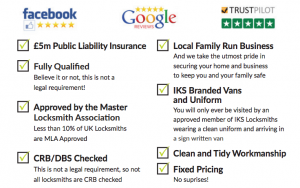 All our locksmiths arrive on site in an IKS Locksmiths sign written van and uniform. We pride ourselves on our high levels of workmanship and customer service. So if you are looking for locksmiths in Golders Green don’t hesitate to call us for a free quote or security survey.